Researchers at DTU said that there could be a possible like between eating meat and cancer, although “other variables” needed to be examined to determine the level of risk. 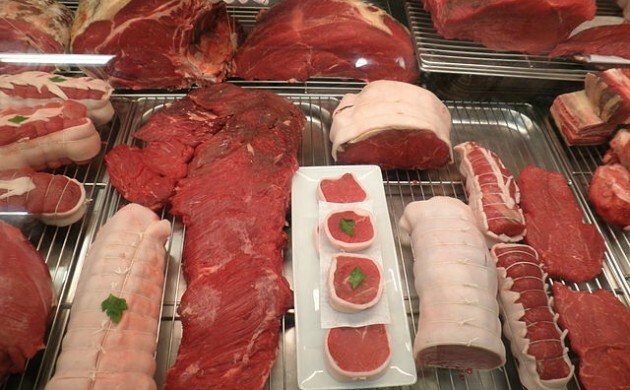 The results agreed with an international study last year that said meat was “probably carcinogenic” to humans. The Danish firm Heimdal Security detected a wave of spam emails containing attachments with versions of the Adwind Remote Access Trojan (RAT). The campaign took place over the weekend, and thus far only targeted Danish companies. The emails came with a file attachment named Doc-[Number].jar. A study at the University of Copenhagen of 20,000 Danish women of women undergoing fertility treatments revealed that 71 percent of them had a baby within five years. Researchers noted that the younger the potential mother, the higher the chance was for success. Danish scientists have announced a project aimed at providing scientifically-based guidelines to prevent future Erysipelas outbreaks in organic poultry and pig production. Erysipelas is an infectious disease caused by a bacteria. It is well-known, but basic knowledge particularly on the infection in chickens, is lacking. Danish engineering firm Cowi announced a contract to design the foundations for Taiwan’s first offshore wind farm. The Formosa I project will be located off the west coast of Taiwan. It is scheduled to be completed in 2019 as the first of a series of offshore wind farms in the country. The Danish government has pledged 87 million kroner to aquaculture initiatives in 2016-17. The fish farming sector in other countries has grown around 7 percent per year since 2000, while in Denmark the sector has barely moved, prompting all political parties to agree on changes.